The Berenstain Bears' Harvest Festival is a wonderful children's book to teach children about fall! My kids had a blast reading this book and it sure excited them for the upcoming fall season! We're in Arizona so just reading about cooler weather and all the fun things we get to do in the fall is something we welcome with open arms. 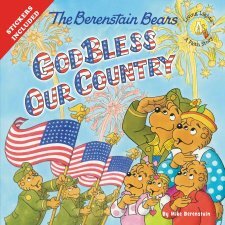 I love that The Berenstain Bears' Harvest Festival teaches kids to thank God for wonderful weather, food, friends and so much more. My kids aged three to seven all loved this book. The illustrations are beautiful and keep kids attention throughout the book. This is the perfect book to get kids excited for fall and teach them to thank God for all the wonderful things He gives us! 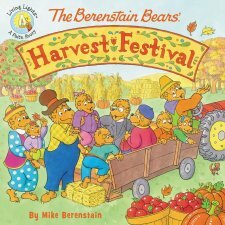 You can find The Berenstain Bears' Harvest Festival on Amazon, Barnes and Noble and other bookstores. I love the morals in their stories! Great way to teach kids! 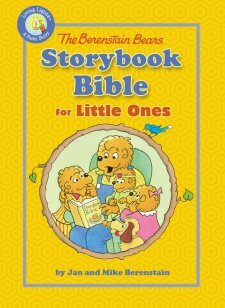 I loved reading the Berenstain bears to my kids when they were younger. I love the Berenstain Bears. I literally grew up on all of these books. Love it! The Bearenstein Bears were my absolute favorite book series when I was a child. I can't wait to have children one day in order to mix the fun imagery from the illustrations with the great moral lessons from each story!